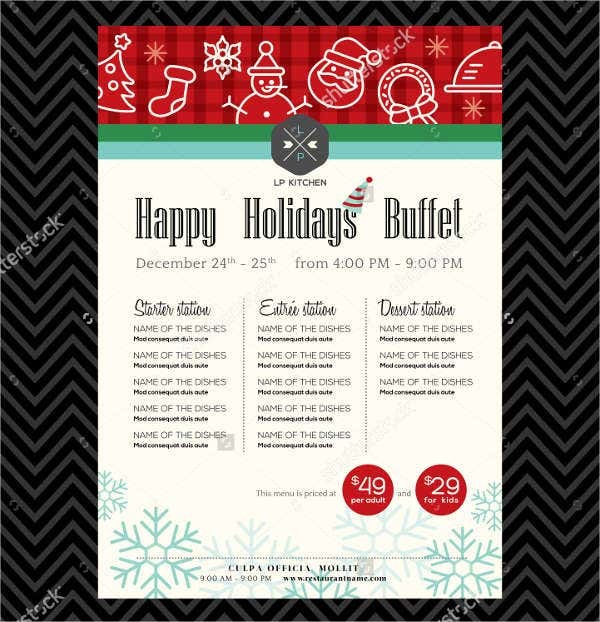 A buffet menu is used to list all the food items that are included in a buffet selection present during an event. It is usually used during wedding, birthdays, conventions, and other functions where food service is expected. Other than that, it is also a usual document used by hotels and restaurants who offer buffet menu selections to their guests and customers. 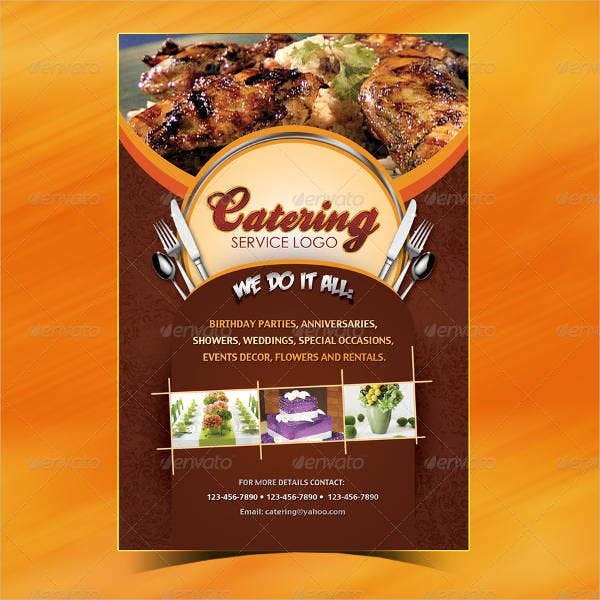 We can give you samples of buffet menu templates if you are considering to have buffet services during the event that you are going to host or organize and you want to have references in creating the buffet menu template that you will use. 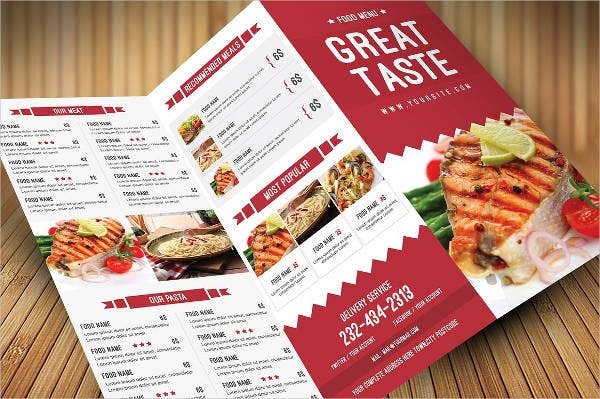 Other than that, we can also provide downloadable samples of Free Menu Templates usable as guides in the creation of different menu listings. 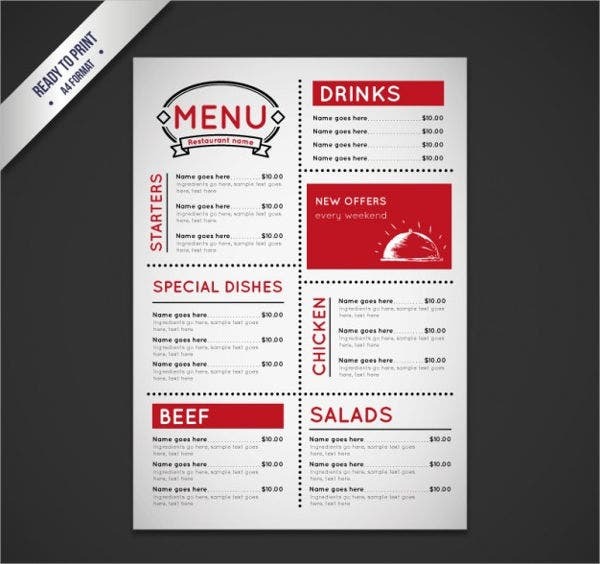 A buffet menu can be classified according to the course where the food belongs. 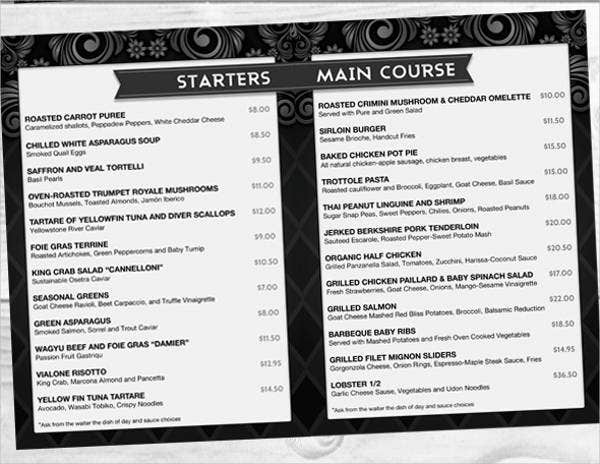 Though food menu courses are usually applied to plated food servings, the organization of the foods in the buffet may also follow the same format. 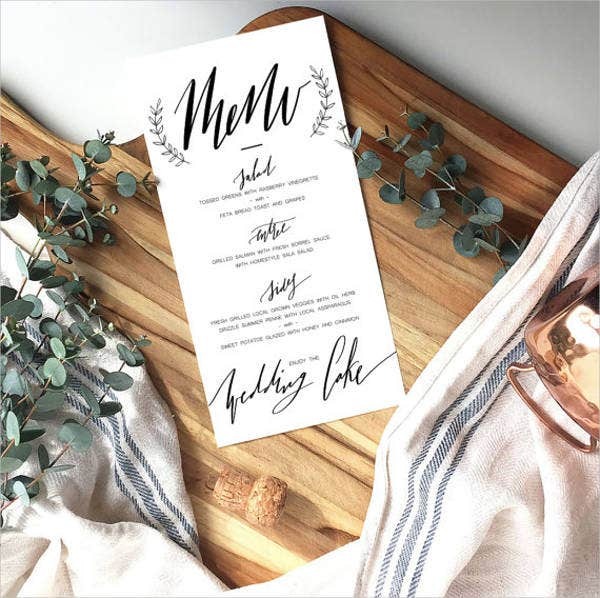 The first course usually consists of the salads, nuts, cheeses, and other light items that the guests may pick if the line for the buffet is still too long. The entree consists of the different meats and other viands that the guests may select from. It usually includes beef, lamb, pork, fish, chicken and vegetable dishes. The desserts in a buffet menu are always put together as they are also placed in a separate location from the main food items offered in a buffet. 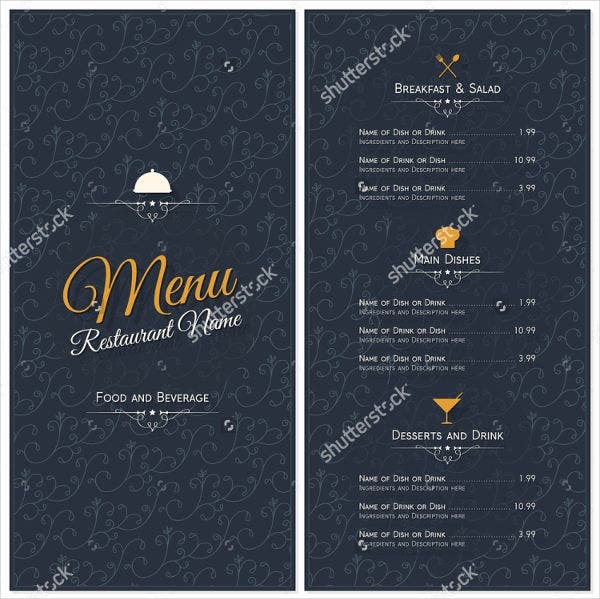 Other than our buffet menu templates, you may also browse through our downloadable samples of Dinner Menu Templates. 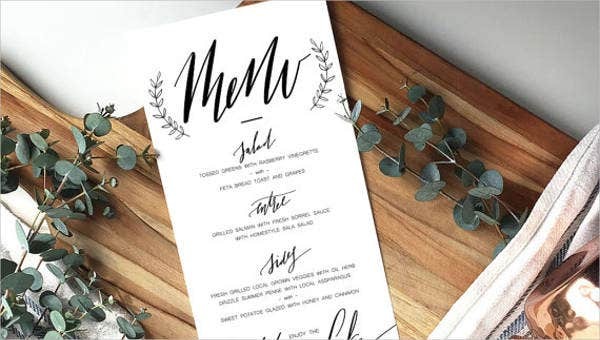 If the buffet menu will be used for a themed event or a holiday event, you may incorporate the design items that are related to the occasion being celebrated. The design of the buffet menu must not cover the names of the food items that are included in the buffet selection. Write the name of the particular food in a bigger font compared to its description or the main ingredients used to create the food item. 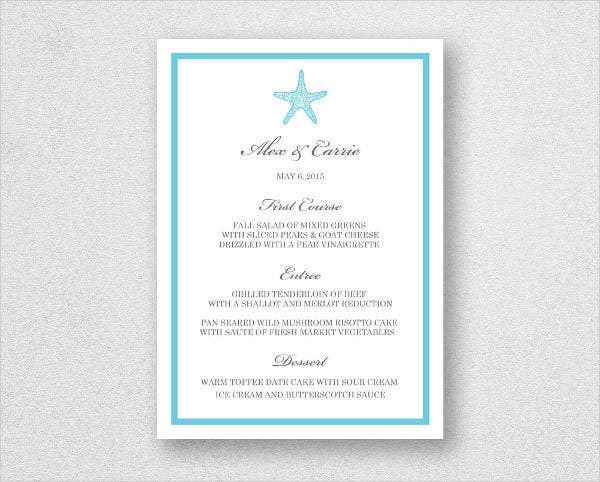 Make all the buffet menu designs appropriate to the celebration where the buffet will be served. 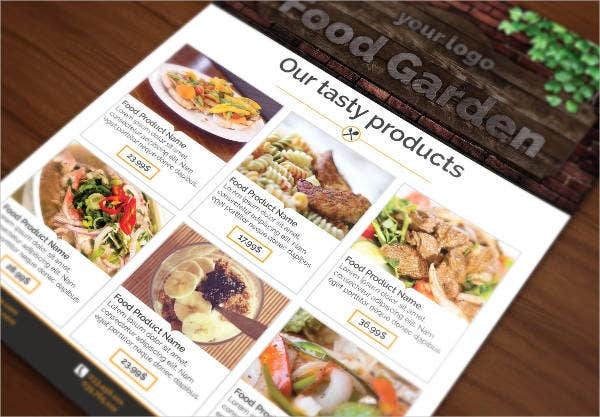 Other than our buffet menu templates, you may also be interested to browse through and download our other samples of Menu Templates.